CRF Health, a provider of electronic clinical outcomes assessment (eCOA) solutions for the life sciences industry, has two new additions to the company's executive leadership team. John Blakeley, who joins as chief business officer, has 25 years of commercial experience in the clinical research and pharma sectors. He was most recently chief commercial officer at Greenphire, a clinical payment technology firm, and prior to that worked in the same role at eResearch Technology (ERT). 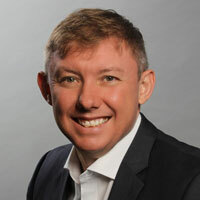 Risto Enbuska has been named as chief technology officer, bringing his experience in R&D management and organisational leadership in a global environment to the role. In the new position, he will lead CRF Health's overall technology strategy and ensure continued innovation of the company's eCOA solutions for clinical trials. Enbuska has over 20 years' experience in the telecom industry, progressing to various management positions at Nokia and directing their global R&D, quality and software development teams. Most recently, he has managed R&D operations across four countries at Comptel. Rachael Wyllie, CEO at CRF Health, said: "The company has grown at a significant rate during the last 3 years and these additions to our executive leadership team are fundamental to help take us even further. “The enhancements to our team will ensure we continue to create the right environment, processes, and procedures which will help us to continue supporting the ever increasing needs of our clients."